The active control trials, SPORTIF III and SPORTIF V, compared the direct thrombin inhibitor ximelagatran to warfarin, where each was given as a treatment to prevent systemic embolism and stroke in patients with atrial fibrillation. 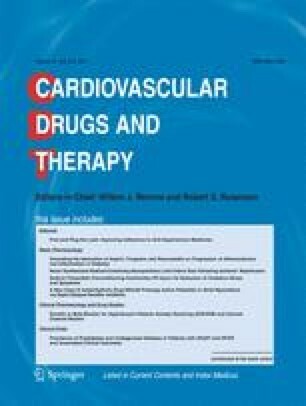 Because warfarin has previously been compared to placebo in similar patients and ximelagatran has now been compared to warfarin, an indirect comparison between ximelagatran and placebo is possible (imputed placebo analysis). In this analysis, ximelagatran reduces the risk of stroke and systemic embolism by 66% (hazard ratio 0.338; 95% confidence interval [CI] 0.204–0.560). Ximelagatran preserves 102% (95% CI 72–132%) of the benefit of warfarin. Based on these data, ximelagatran may be an effective alternative to warfarin for the prevention of stroke and systemic embolism in high-risk patients with atrial fibrillation.